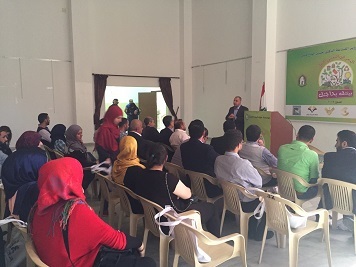 Within the MED-DESIRE project, the Lebanese Center for Energy Conservation (LCEC) participated in an Environmental Fair and Exhibition in Tyre. 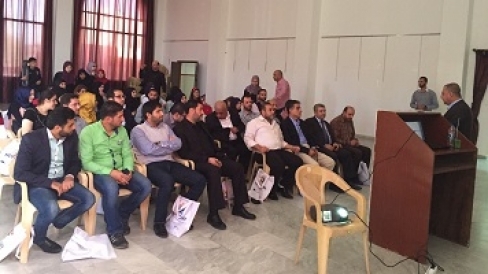 The event was organized by the Jihad al-Bina Foundation to promote sustainable development solutions in South Lebanon, specifically renewable energy and waste management. The event lasted four days and included an exhibition, conferences and environmental plays. The intervention of the MED-DESIRE/LCEC team took place on November 14th, 2015 with more than 40 participants. The participants included university students, scouts, consultants, suppliers, municipality representatives as well as delegates from the media that were covering the event. Mr. Ziad El Zein, LCEC Vice-President/MED-DESIRE Communication Manager started by introducing the project, the general national, Arabic and international policy frameworks: the shape of the Lebanese energy sector, the National Energy Efficiency Action Plan, the National Renewable Energy Action Plan, the National Energy Efficiency and Renewable Energy Action (NEEREA financing mechanism), The Arab Energy Efficiency and Renewable Energy Guidelines as well as the international momentum against climate change (COP 21 meeting and potential environmental agreements). Then, Ms. Reem Irany, LCEC Energy Engineer/MED-DESIRE Technical Staff Member, elaborated on the introduced subjects, specifically on the general aspects on the MED-DESIRE project and the implemented activities: the pilot solar ordinance under finalization with the Union of Municipalities of Tyre and the innovative financing mechanism for municipalities and local authorities. She also stressed on the importance of awareness raising and the great efforts performed within the project on this issue. 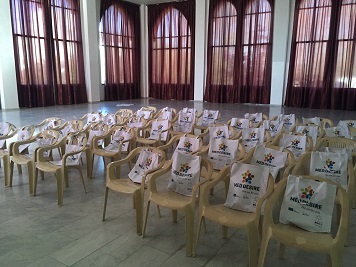 MED-DESIRE gadgets were distributed to the participants along with MED-DESIRE project brochures, energy awareness brochures and bags. Jihad al-Bina Foundation Society is a developmental foundation founded in 1988, and seeking to develop the society and increase its development through various programs and projects.